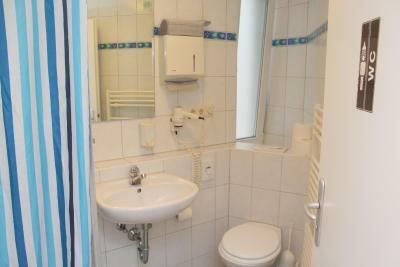 Location is good, rooms are clean and spacious, though minimal, as expected for 1 star motels. Location is good. Cheap price. If you dont care about comfort and just want a roof above your head this place will fit. 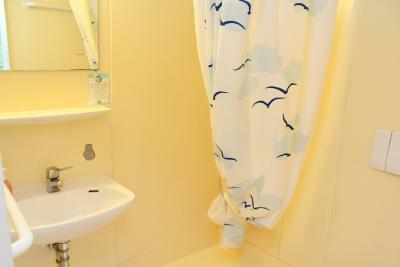 It was the cheapest hotel for the time I searched and stayed in shared bath room. 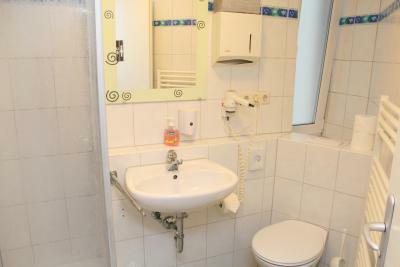 Common area was really clean, the toilets and the bath was clean for shared. Room was also really clean and had a nice city view balcony. Room cleaning was done every day with fresh towels. Exceptional location. Overall, I did not like anything about the property. For the price, it did NOT meet my expectations. All it was, was a place to sleep, and that’s it. Did not feel comfortable walking around there without shower shoes. Also, I had to keep the door locked at all times — which, the lock took about 2 minutes to lock and unlock. Overall, would not recommend for a vacation, unless you’re just looking for a bed. It was near from metro station and some good places as bar street and shopping, if you like to walk. Location is really good. Supermarkets nearby (edeka & lidl). Hot shower works well, pretty clean room and bathroom. Hotel Espenlaub This rating is a reflection of how the property compares to the industry standard when it comes to price, facilities and services available. It's based on a self-evaluation by the property. Use this rating to help choose your stay! One of our best sellers in Stuttgart! 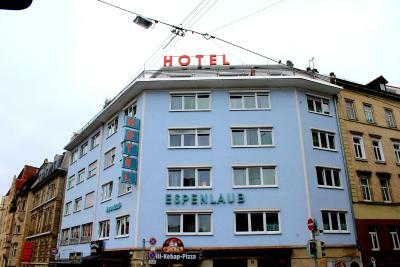 The Hotel Espenlaub is located in Stuttgart city center, just a 6-minute walk from the Neues Schloss Castle. 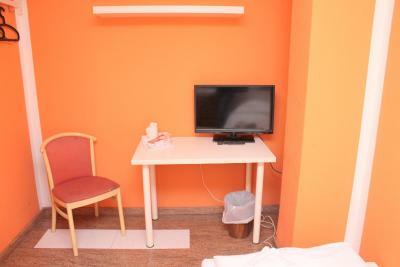 It offers quiet rooms, free Wi-Fi in the hotel lobby and a daily breakfast buffet. There are also lots of restaurants and cafés within easy walking distance. Stuttgart Main Train Station is 0.9 mi from the Hotel Espenlaub. The Oberer Schlossgarten Gardens are an 8-minute walk away. 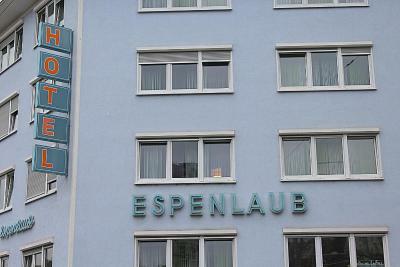 When would you like to stay at Hotel Espenlaub? 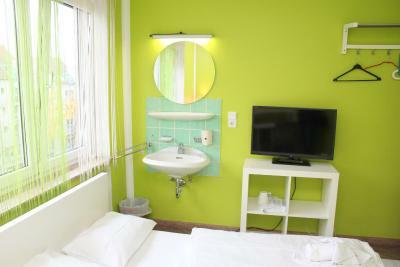 This brightly decorated room features a TV and a private bathroom. 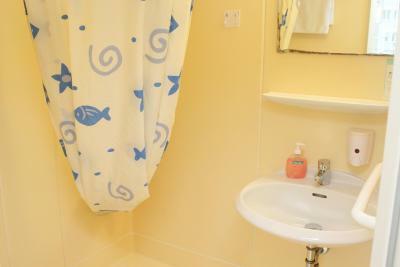 This brightly decorated room has a TV and shared bathroom facilities. House Rules Hotel Espenlaub takes special requests – add in the next step! Hotel Espenlaub accepts these cards and reserves the right to temporarily hold an amount prior to arrival. 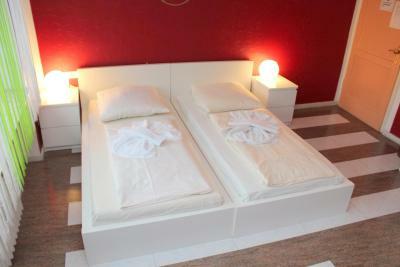 Please note that extra beds cannot be ordered in rooms with a shared bathroom. The location of a hotel is great. It took us about 5 minutes to the city centre. Hotel accepted our late reservation really quickly, and that was our truly releif. Uncomfortable broken bed. Fungus in the bathroom. Horrible smell coming out of the bathroom during the night hours. Noise from the street and other hotel rooms. I was not able to connect WIFI at all in the 2nd floor. All was good Except that. Kind Staff . Good Location . Value for money . Well maintained. There are two little things the hotel could do to greatly improve the comfort of the room: install air conditioning and provide bedside lamps. 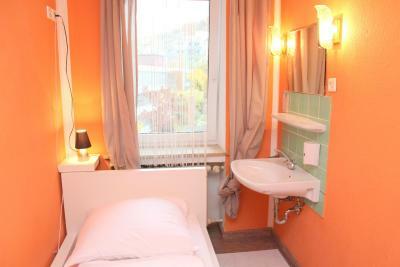 The noise of the street does not allow sleeping with open windows and hence the room gets stuffy easily. Firstly, hotel was so close to the city centrum. 15 min. wit walking. And there were a 2 supermarket near the hotel (Edeka and Lidl). We bought somethings for breakfast from there. Our room was so clean and big. 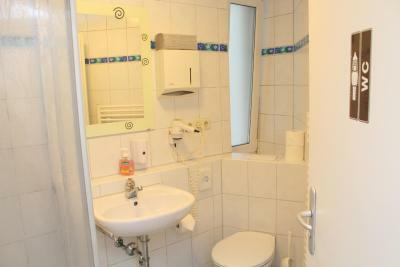 There was toilett and also shower in the room which was perfect for us. And thanks to the hotels hospitality, we bring our bird with us in to the room. And last, wi-fi was ok.